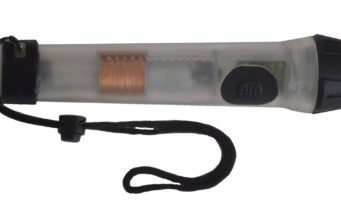 The Maglite Flashlight was introduced in 1979 by the company Mag Instrument Inc. Every Maglite flashlight is designed, manufactured and tested in the U.S.A. Mag Instrument Inc is located in California. 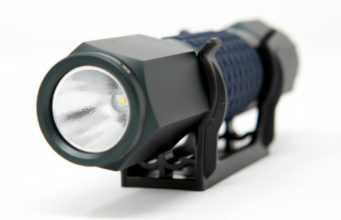 Maglite flashlights are constructed mainly of anodized 6061 aluminum and they have a variable focus beam. The Maglite comes in a range of colors and originally contained krypton or xenon incandescent bulbs, however, current models use LEDs. Models hold a spare bulb in the tail cap. 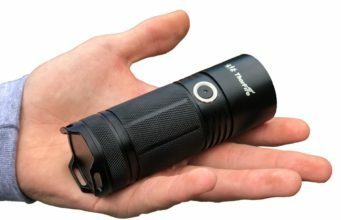 The Maglite flashlight is popular among police and security personnel. It was used as a substitute for a baton up until 2007 following an incident where an officer was accused of using excessive force against a suspect with a Maglite. Despite the controversy, Maglite justifiably remains one of the biggest flashlight brands and a solid choice. $8.44 Superior quality craftsmanship with weather-resistant seals and anodized inside and out for improved corrosion resistance. 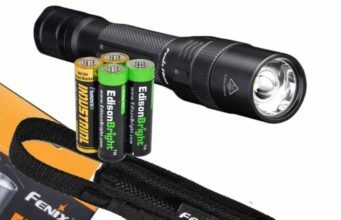 Compact design includes a premium alkaline battery with keychain lanyard and a spare lamp safely inside the tailcap. 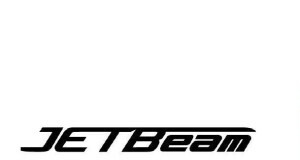 A premium drop resistant and water resistant flashlight renowned for its quality, durability and reliability. $12.38 Superior quality craftsmanship with weather-resistant seal, diamond knurl design, and anodized inside and out for improved corrosion resistance. Compact design renowned for its quality, durability, and reliability. Includes a spare lamp safely secured in the tail cap and converts quickly into free standing candle mode, for convenient, hands-free light whenever you need it. $25.73 Superior quality craftsmanship with weather-resistant seals and anodized inside and out for improved corrosion resistance. 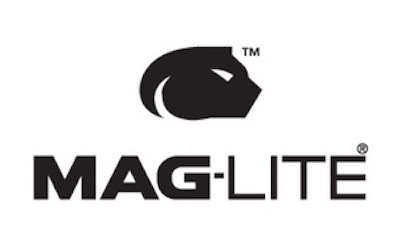 Designed for professionals and consumers alike, the Maglite LED flashlights build on the experience in craftsmanship, engineering, and advanced technology evident in all Mag flashlights. $34.43 Superior quality craftsmanship with weather-resistant seals and anodized inside and out for improved corrosion resistance. Diamond knurled design with a powerful projecting beam that adjust from spot to flood with just a 1/2 turn of the head. Previous articleFlashlight batteries – what are the options?